Do you need a Buddy? Well I need a human! Maybe we can get together? 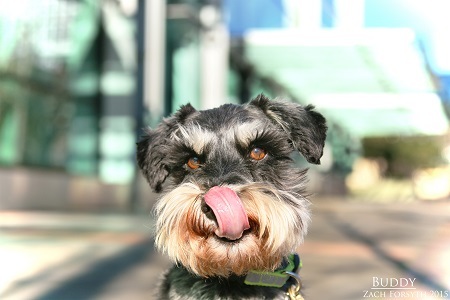 I am a 6 year old mini-Schnauzer with a fine mustache and a heart of gold. I can’t wait to go home and do Schnauzery things like cuddle by the fire place, play ball, and comb my eyebrows. I’m only 12 lbs, but don’t worry, I’m not fragile at all – I’m stocky and athletic and can keep up with all of your family activities! I even do well in the rain as long as I get a good towel dry at the end (which I seem to really enjoy!). I’m great with kids, dogs, and confident, dog-savvy cats (I don’t want to eat a kitty, but chasing might be fun!). If you want a fun-loving boy to pamper then I’m your man! Fill out the dog adoption application so we can schedule a meet and greet. I am fixed, vaccinated, and microchipped. My adoption fee is $250.